Holland America Line (HAL) is partnering with microgreen specialist Koppert Cress. The aim of the project is to grow fresh ingredients onboard the newbuild of the line, ms Koningsdam. The Koppert Cress partnership will enable guests to indulge in fresh microgreens grown onboard in the Culinary Arts Center while enjoying a farm-to-table-style menu for dinner. The ingredients will be on display in a glass-enclosed growing area in the re-imagined Culinary Arts Center, which also will serve as a dinner venue on Koningsdam. Dinner in the Culinary Arts Center restaurant will provide an immersive farm-to-table experience where chefs prepare simple, artisanal dishes in the show kitchen. Each course will be enjoyed as it’s freshly prepared, with some ingredients harvested by the ship’s chefs from the Koppert Cress growing area just before being served. Once sown, the seedlings will grow for up to two weeks and then get snipped in their prime for use during dinner in the Culinary Arts Center. The microgreens have distinct flavors like garlic, mustard and licorice, which will enhance the taste of each dish served. 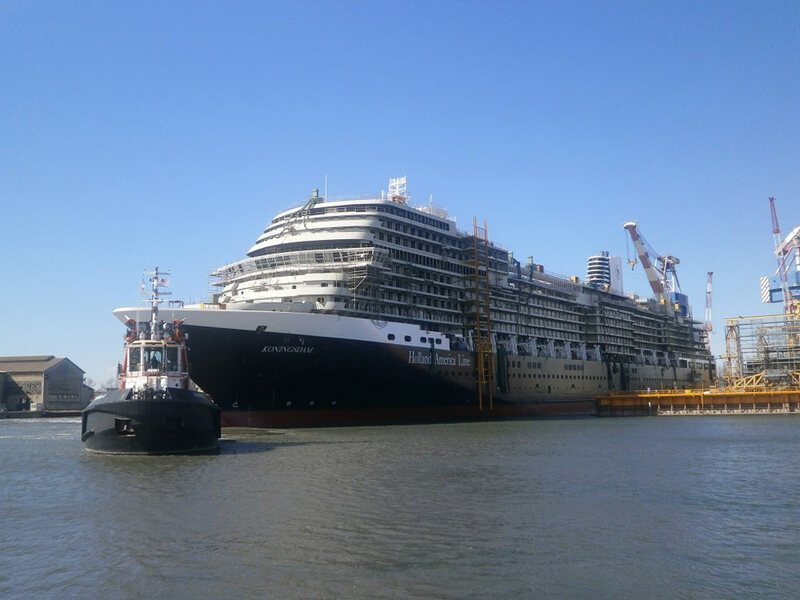 The 99,500 gross ton Ms Koningsdam is currently under construction at Fincantieri’s Marghera shipyard in Italy. The ship will be delivered in April 2016 and carry 2,650 passengers.